One morning, when I was having coffee and watching Umagang Kay Ganda (a popular and award winning TV morning show in the Philippines), I saw the host and their special guest chef cooking their featured dish for the day, the "Pininyahang Bistek" (Bistec w/ Pineapple). What a great idea. I didn’t realize that it's possible to innovate Bistek Tagalog, a traditional Filipino dish. How come I didn't think of that? 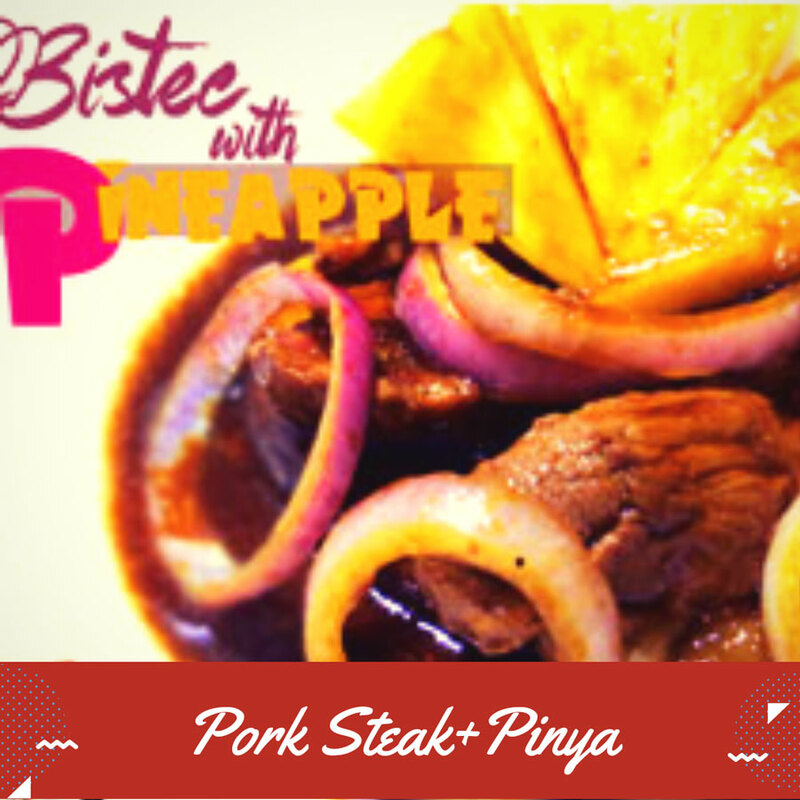 The filipino word "bistek" derived from a word "bistec" a spanish word for steak. The Spanish nation ruled the Philippines in over three centuries from year 1500 to late 1800. That's the reason why some Filipino and Spanish language were very much alike. Over the time, (if not all) most of the spanish words have been adapted into filipino local version. The same meaning, the same sounds and pronunciations but have different spelling. I already featured Bistek recipe in my previous article “How to Cook Bistek Boneless Bangus”. I used milkfish as an alternative to beef. Since most of the Filipinos are budget conscious, I’m going to replace beef with pork for this recipe to make it more affordable yet delicious dish. Plus, we will add pineapples just like the one on the television. Now here’s my version of Pininyahang Bistek with a twist. Marinade pork in soy sauce, calamansi (lemon) and blackpepper for 1 hour or overnight. Put inside the fridge. Calamansi and lemons are known for their vitamin C which helps boost our immune system. It acts as our body’s shield against diseases. Heat oil in a pan and sauté the garlic. Add in the pork, sauté until color turns brown. Pour the water, stir a little and cover. Let it simmer over medium heat for 15 minutes or until the pork becomes fork tender. Now put-in the marinade, red onion, oyster sauce sliced pineapples, and pineapple juice. Simmer for another 5 minutes. Turn off heat. Transfer to a bowl and serve hot. Aside from containing high vitamin C, Pineapple also has a high level of manganese. This mineral is an essential element for energy production, while protecting our cells from free-radicals. Other present nutrients in pineapple are vitamins A, B1 and B6, beta-carotene, copper, potassium and bromelain enzyme which kills cancer cells in our body. Thanks for the appreciation. 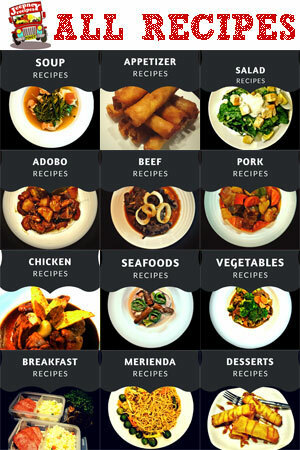 Please visit Jeepney Recipes regularly for more recipes.